Click Below to get the handout that goes with this Blog. Do you want your students to buy-in to their learning? Do you want your students to be able to articulate which skills or content knowledge they have not mastered? 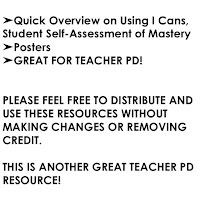 Well, then check out “I Cans”, Student Self-Assessment of Mastery packets. 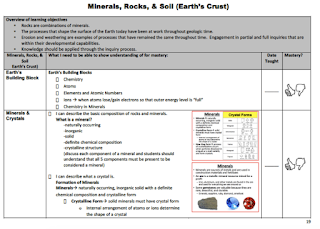 Use these packets to guide students through each unit of study ensuring that they are on track, understand what is expected of them, and have a tool to gauge their mastery of the content. 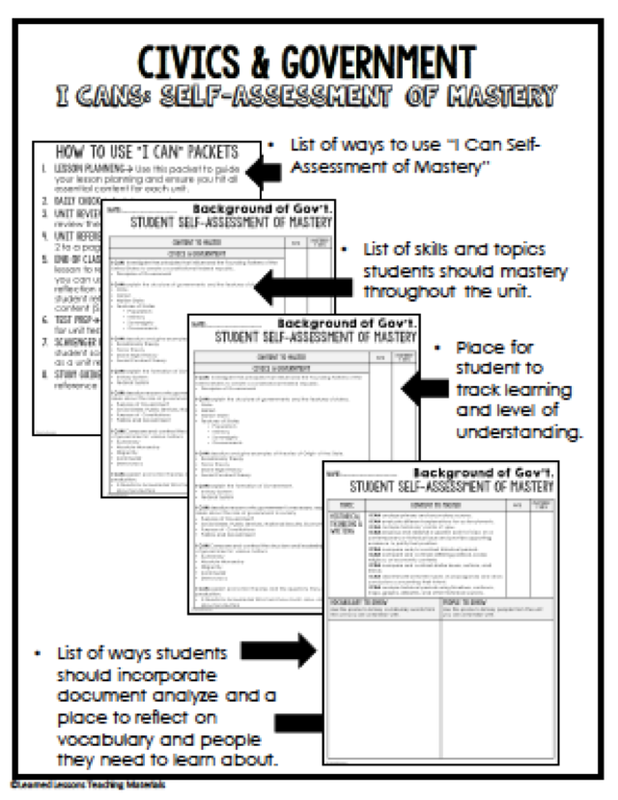 Below, I will outline what Student Self-Assessment of Mastery looks like, why we should make it part of our daily planning, and a few strategies to help you use this daily in your classroom. 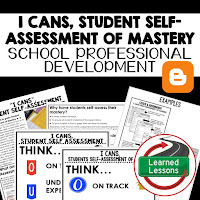 What are “I Cans”, Student Self-Assessment of Mastery? 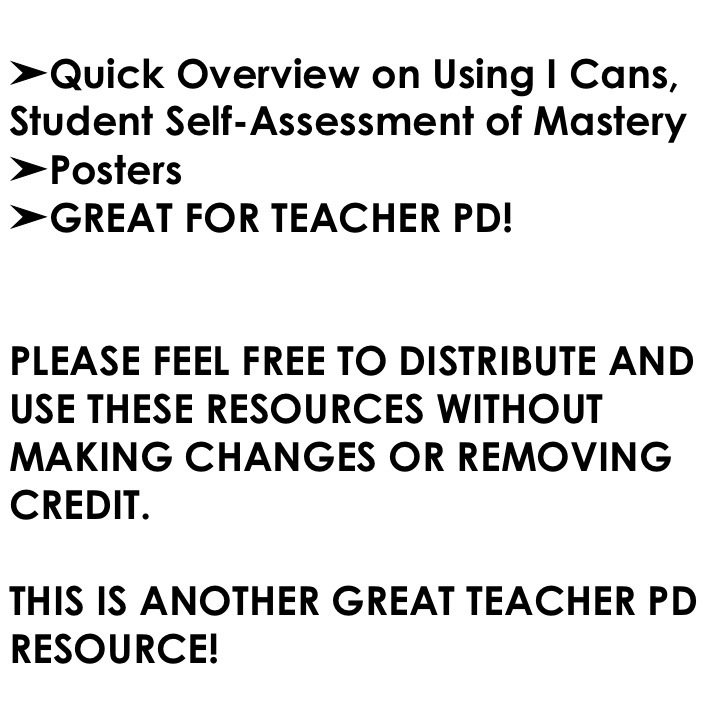 ►I Cans used as Student Self-Assessment of Mastery require students to track their learning and take OWNERSHIP of mastery of content. Student ownership of learning is the #1 Strategy for student achievement. 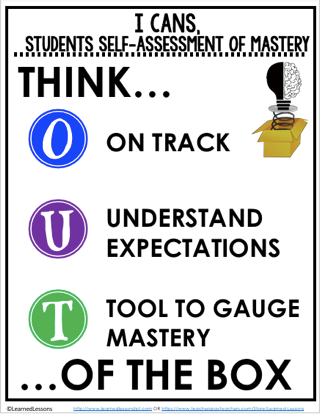 I cans allow students to stay ON track, UNDERSTAND the expectations, and act as a TOOL to gauge mastery as the unit progresses. Students will be able to articulate areas they are weak and ask for help in specific areas of weakness. Why have students self-assess their mastery? All learners need to know what is expected, and want specific expectations for the task at hands. These can act as unit rubrics for students to reflect and engage in their own progress towards mastery of content. 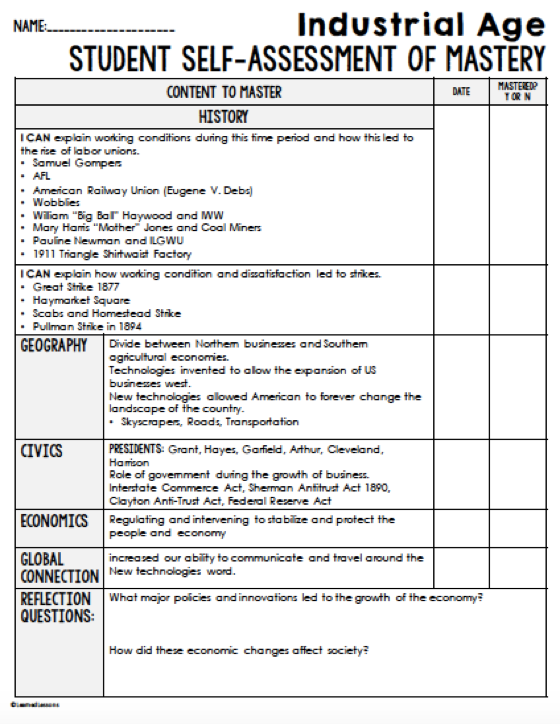 ► Lesson planning► Use this packet to guide your lesson planning and ensure you hit all essential content for each unit. ► Daily check► Bell ringer reviews, have students use the “I Cans” to reflect on what they remember from the previous day. 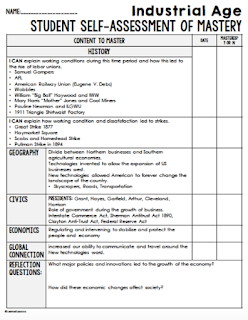 ► Unit Review ► Use to guide the unit or to review the content at the end of the unit. 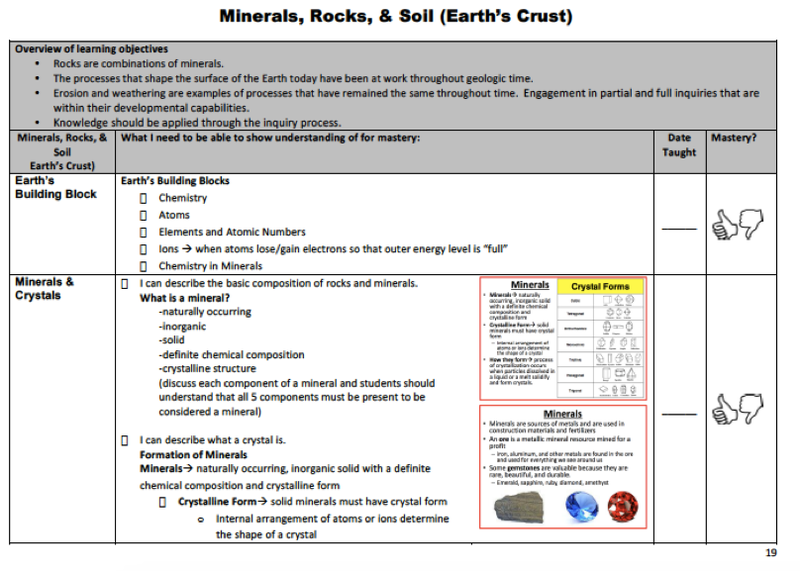 ► Unit Reference Pages► Place in folders or print 2 to a page for interactive notebook inserts. ► End of class check► Check at end of daily lessons to reflect on mastery of content. Also, you can use this as a “ticket out” and check reflections as they leave the room. 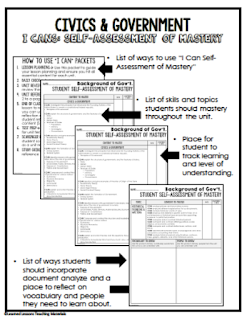 Have students reflect on their mastery of the content (SELF-ASSESSMENT OF MASTERY). ► Test Prep► Use to guide essential knowledge for unit testing or state testing. ► Scavenger Hunt► Use the information to have students scavenger hunt or find key topics as a unit review. ► Study Guide► Perfect as a study guide, reference sheet and/or review packet. 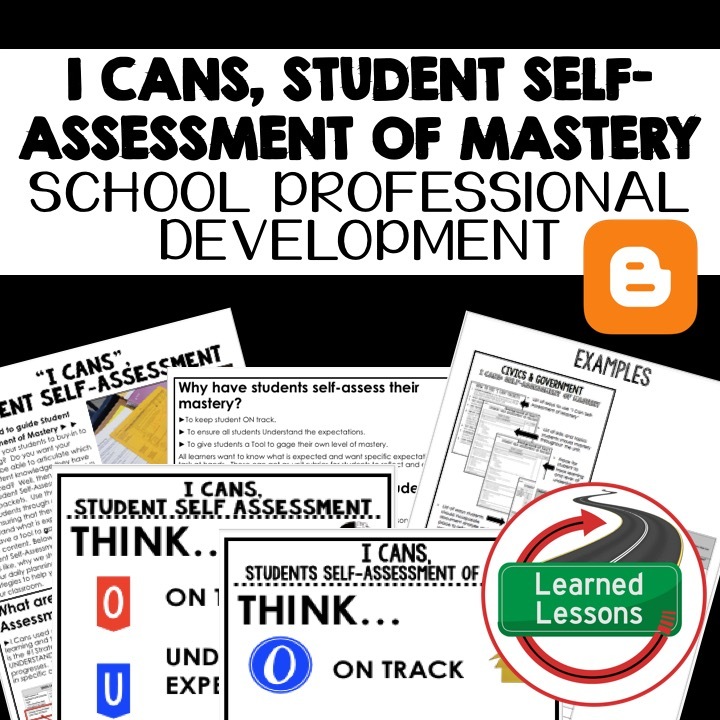 This is a quick reference guide for using I CANS, STUDENT SELF-ASSESSMENT OF MASTERY in your classroom and when planning. This would make and excellent read for a faculty professional development. It also references back to my blog and is part of a series of professional development resources that I will be providing. I have been in education for over 17 years and have conducted hundreds of professional developments on a variety of topics. Please follow and tune in for more quick reference sheets that are on the way.